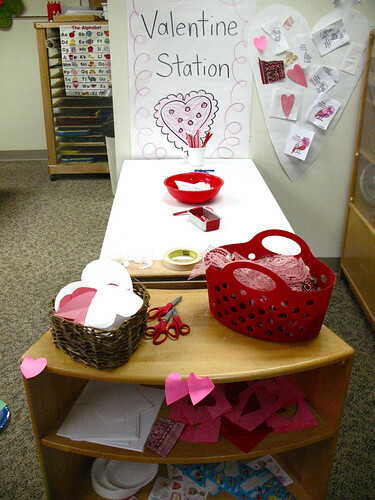 we had an ever-expanding “valentine station” in the classroom for the first half of february. 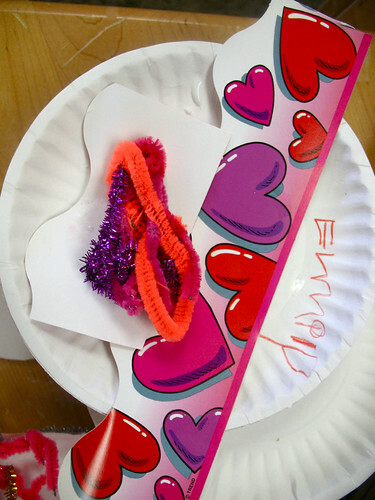 paper hearts, pipe cleaners (or am i not supposed to call them that anymore? 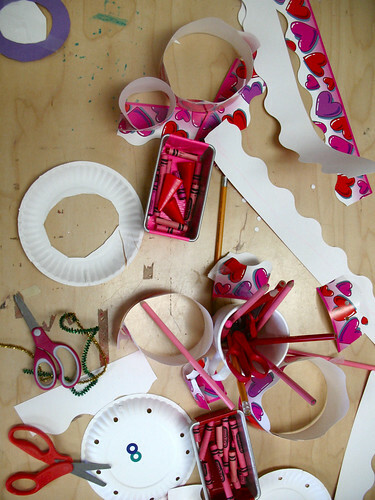 ), glue, red and pink crayons, colored pencils, scissors, tape (!!!! 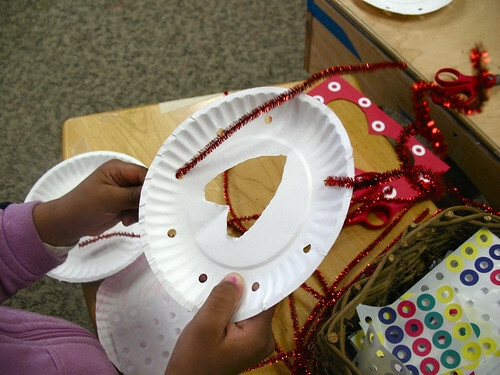 ), bulletin board borders, doilies, stickers, etc. 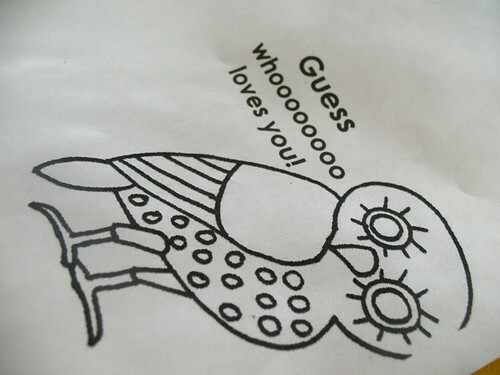 we added an owl card for o week. 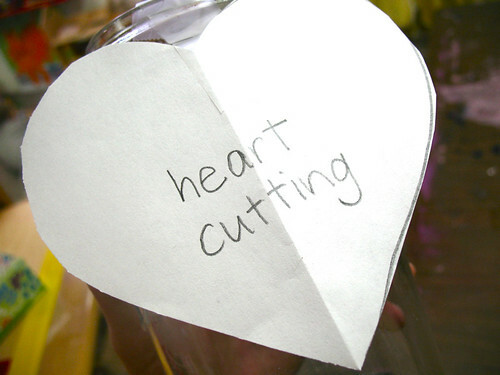 we added heart cutting supplies after i watched a preschooler do it on his own. 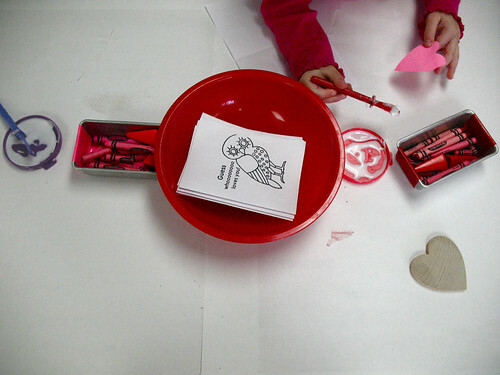 we added purple crayons and paper plates during p week. 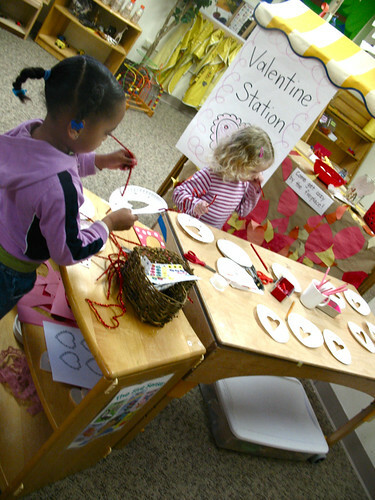 we’ll get to open up the tub table again next week!